Beel loves large fish. 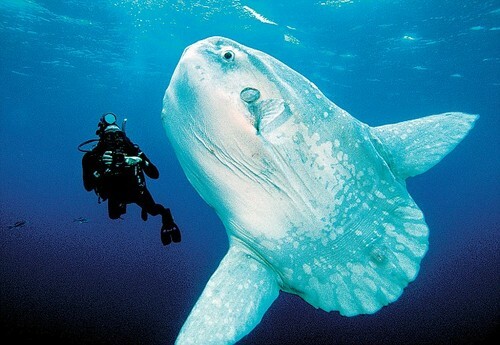 The ocean sunfish is the largest bony fish in the world. Therefore, Beel loves ocean sunfish. The best known species of ocean sunfish, the common mola Mola mola, reaches adults weights averaging 2200 pounds with a maximum recorded weight of 4,927 pounds. The photo below shows an adult mola with a diver for perspective (photograph obtained from The Rantings of a Gothic Atheist, which presents a nice introduction to ocean sunfish). 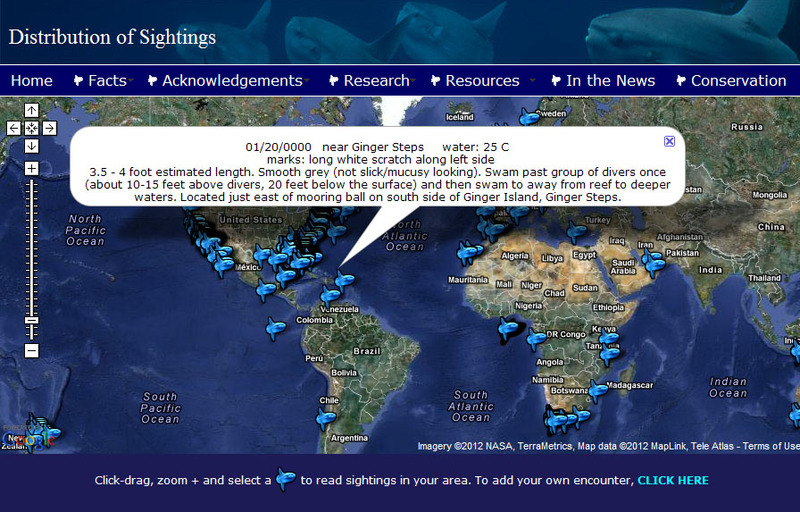 If you cursor on one of the sunfish symbols, you can look at when and where the fish was sighted, plus other, sometimes amusing, information (see below, click on image for a better view). Reading these comments is interesting and informative. The three species of ocean sunfish belong to the order Tetradontiformes, which includes pufferfish (see “Fugu. And Google, Too“). Although the diets of these three fish differ, the most common prey items include gelatinous organisms such as jellyfish, Portuguese man-o-war, ctenophores, and salps. Um um, gotta have them salps. Unlike many marine fishes, ocean sunfish are not heavily fished, although they are considered a delicacy in some Asian countries. Perhaps the largest threat to ocean sunfish is their capture, as by-catch, in swordfish fisheries. Ocean sunfish are large, but are not commonly observed, and are infrequently reported on by popular media. 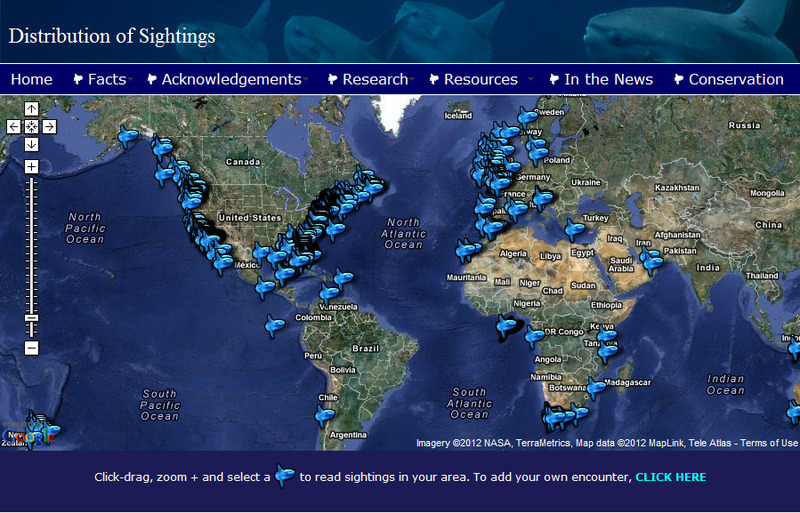 Beel used Topsy Analytics to examine the prevalence of ocean sunfish in Tweets. Please, let Beel present these results. Day to day, there are but a few Tweets regarding ocean sunfish. A spike did occur on 23 February (N = 25 Tweets), which mostly were related to a post titled, “An Irish Killer Whale feeding on Ocean Sunfish – first for the North Atlantic.” The post details evidence of orca predation on an ocean sunfish: orcas are among the few marine predators large enough to take on ocean sunfish. 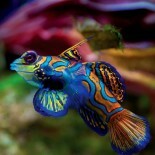 This entry was posted on February 28, 2012 by denstormer in Conservation, Google Stuff and tagged marine fish, queryomics, Topsy Analytics, Twitter.